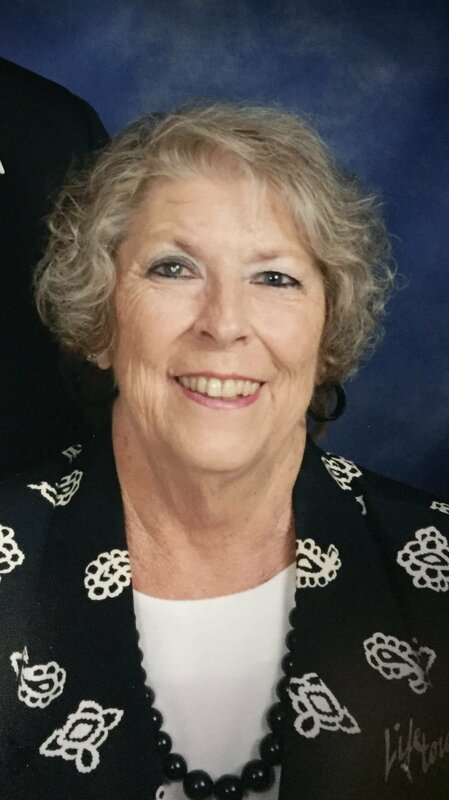 Mrs. Judy M. Bounds, 70, of Horn Lake, MS, passed away Wednesday, March 28, 2018 at her residence in Horn Lake. Mrs. Bounds worked as a secretary for Twin Oaks Memorial Gardens and Funeral Home for twenty-eight years. She took great joy in her work and loved working for Mr. Carter. She was very outspoken and not afraid to share what was on her mind. Especially at home, she was going to have it her way and would always be right, she truly was “the boss”. Mrs. Bounds loved playing bunko with her bunko group, working crossword puzzles, and playing Yahtzee and cards with Mr. Bobby. She loved to talk and catch up with her neighbors, family, and friends, whether it was in person or on the telephone. Mrs. Bounds was a very well put together woman, who always made sure the color of her outfits never clashed. She loved getting manicures and pedicures done, as well as shopping for jewelry, shoes, and purses. She loved her children and grandchildren beyond measure. Anything that her grandchildren were involved in, you could bet to see Mrs. Bounds there cheering them on every step of the way. She loved watching her grandsons, Zach and Drake play baseball, and was particularly fond of picking her great-grandson Jackson up from school and taking him to Cicis to eat. She enjoyed watching the Walking Dead, westerns staring John Wayne, and listening to Alan Jackson and Conway Twitty. Mrs. Bounds was very independent, especially when it came to decorating her yard for the holidays. Being extremely family oriented, she enjoyed visiting family in her home town of Savannah, and cooking dinner for family get togethers. She was a member at Church Road Baptist Church for three years, and looked forward to each luncheon and banquet, where she was able to fellowship with her church family and friends. Mrs. Bounds made a huge impact on this world and will be missed by each and every person she came in contact with. Mrs. Bounds leaves behind her loving husband of sixteen years, Bobby Bounds; two daughters, Joy Mobley (Shawn) and Jill Grubbs (Tommy); two brothers, Larry Broyles (Brenda) and Steve Broyles (Kathy); seven grandchildren, Brittany Hardy (Jack), Justin Parsons (Bethany), Hailey Thweatt, Zach Parsons, Drake Mobley, Ashley Davis, and Walker Grubbs; two great-grandchildren, Jackson Hardy and Colton Parsons. Mrs. Bounds also leaves behind a host of loving friends and other family. She was preceded in death by her parents, Grady and Phena Broyles. In lieu of flowers, the family asks that donations and memorials in honor of Mrs. Judy M. Bounds, be made to the American Kidney Foundation (Finance Department: 30 East 33rd St.; New York, NY 10016). Visitation will be held Saturday, March 31, 2018, from 1:30 P.M.-3:00 P.M. at Church Road Baptist Church (3660 Church Rd; Horn Lake, MS 38637), with the funeral service following at 3:00 P.M. in the chapel at Church Road Baptist Church. Interment will be at Twin Oaks Memorial Gardens (290 Goodman Rd E; Southaven, MS 38671).